'A darkness is gathering in the sprawling port town of Baldur's Gate. Members of the city watch have been found dead, people are afraid to leave their homes, and there are rumors of a thieves guild civil war brewing beneath the streets of the city. Into this deteriorating situation comes the player, a hero of the game, fresh to Baldur's Gate and fresh to the world of adventuring. Down on his luck and carrying little else except a sword strapped to his back, hes come to the big city to earn a few coins. Before his adventures in the city are through, however, he'll be all that stands in the way of one of the greatest threats ever to strike Baldur's Gate and the Sword Coast. Spread over three acts, this tale of intrigue and fierce alliances pits the player against myriad challenges, each one bringing the player closer and closer to the revelation of truth and the bittersweet realization of vengeance. A completely original adventure created exclusively for the PlayStation 2 computer entertainment system. Featuring single and two-player cooperative play. Explosive spell effects and amazing detailed environments never-before-seen in any console game. Play three character types, each with unique powers, appearance and abilities. First console game ever to use the 3rd Edition Dungeons a& Dragons rule set'. Produced by the award-winning Black Isle Studios and developed by Snowblind Studios. 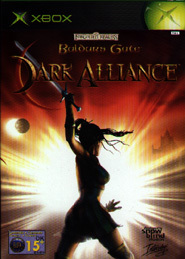 Check out the official Baldurs Gate: Dark Alliance web site and the Baldur's Gate: Dark Alliance Official Stategy Guide. 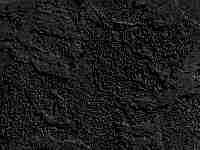 See also the Baldurs Gate: Dark Alliance II page.